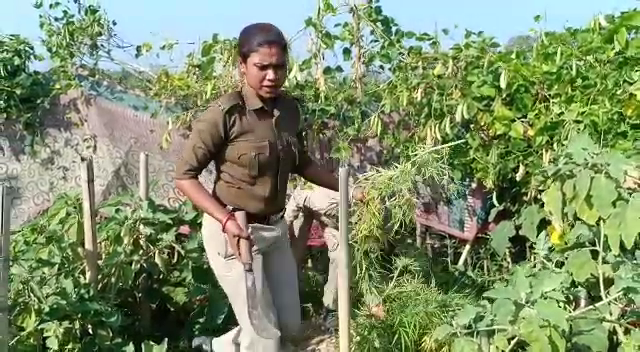 Kalyanpur police in Khowai district of Tripura destroyed illegal marijuana plantation in Gilatali area and burnt the marijuana plants. 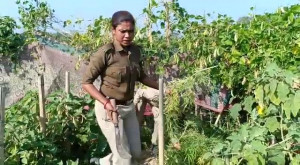 The incident took place within few hours after two youths were arrested red-handed along with banned drugs on Thursday under Kalyanpur Police Station. He also said they found around 50 to 60 ganja plants in the unclaimed area in the river bank and after uprooting the marijuana plants, they burnt those using kerosene oil. Das also informed that the police will continue operation against marijuana plantations and use of banned drugs. He also hinted that they would intensify their anti-drugs operation in the coming days to make the area drugs-free. agencies till September, 2018 seized huge quantities of several drugs valued at Rs 33 crore, said officials. Prime Minister Narendra Modi during a meeting with Tripura Chief Minister Biplab Kumar Deb in New Delhi in September last also appreciated the state government’s all-out efforts to curb the drugs menace. 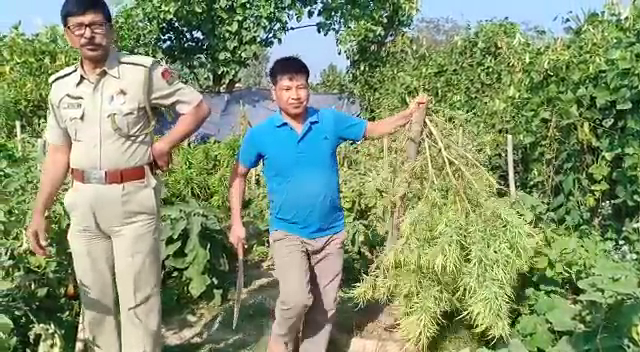 “In the past six months, different security agencies have seized 45,000 kg of dry cannabis (ganja), 1.70 crore ganja plants, 88,000 bottles of various types of cough syrups, 1.48 lakh habit-forming tablets, 2,626 grams of brown sugar and in Tripura,” an official of the revenue department said in September, 2018.